One of my aims in life is to create recipes that taste amazing and help you feel amazing! Believe me, this chocolate tart does exactly that. It is raw, dairy-free and oh-so delicious. The only sweetness comes from fresh dates and honey. The base tastes similar to ferrero rocher, whilst the filling tastes like chocolate pudding! 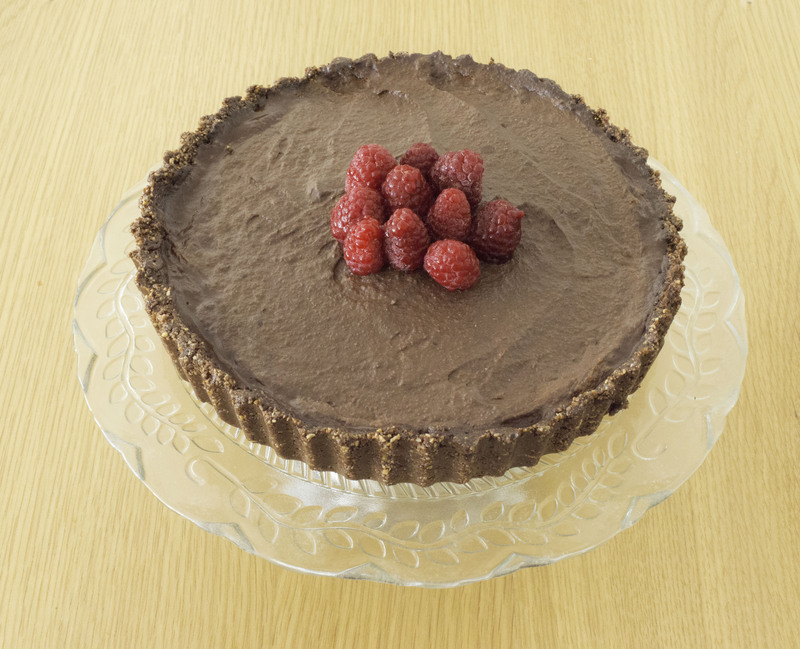 In my earlier post, I talked about why cacao powder was so amazing – it works really well in this recipe as it provides the rich chocolatey flavour in both the filling and the crust.